Occasionally, construction in L.A. will unearth unsettling relics—human remains from abandoned graveyards in the heart of the city. On May 6, writer Hadley Meares (she’s researched lost burial grounds at length) will lead a walking tour of the all-but-forgotten sites of L.A.’s first cemeteries. 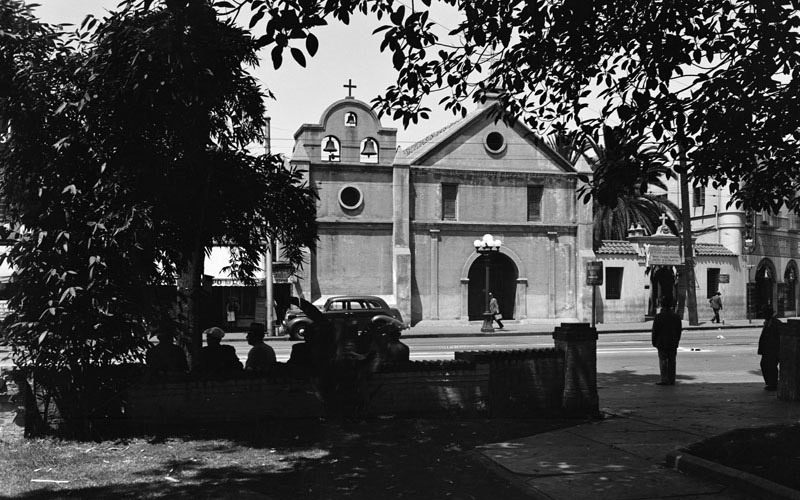 There were several in the downtown area—for Catholics, Protestants, and Jews—the first of which was located La Iglesia de Nuestra Señora la Reina de Los Angeles in the dead center of the pueblo (a bad place for a cemetery, it turns out). The stories Meares has on hand are full of intrigue—tales of jealousy and murder, of gruesome exhumations, of grave robbers and buried jewels and Wild West shootouts and midnight orgies “too filthy to allow of description” per an 1896 issue of the Los Angeles Times. You’ll discover the little known history of what lies beneath the pavement of downtown and will look for the telltale signs that the ground you walk on once held the remains of some of L.A.’s first residents. The tour is part of Obscura Day, a global celebration of real-world exploration. It covers about two and a half miles, and will take place on Saturday, May 6, from 10 a.m. to 12 p.m. Tickets are $20—you can purchase them here. Other Obscura Day events include a visit to the ruins of L.A.’s abandoned zoo and a trip to the world’s tiniest disco.